In June of 1932 the four-mast schooners Hesper and Luther Little were auctioned off and both have been "laid up" in Wiscasset ever since. The ships were in good condition at the time, but the age of sail was near an end and no work could be found. 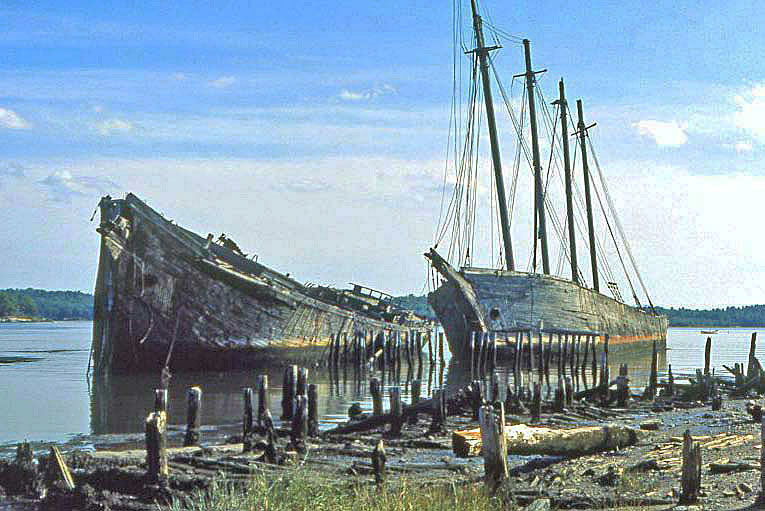 The ships have been deteriorating until their removal became necessary. The Hesper and Luther Little were removed from the Sheepscot River during the summer of 1998. I am using wood from the ships to make these refillable pens. During the removal the wood from each ship was mixed thus the pens are from one ship or the other, but I do not know which! The old ships are gone now but these pens keep the memories alive.